Conveniently located off US 131 at the south east corner of Pine Island and 11 Mile. Chase's Corner Kennel is open 7 days a week. For your pet's convenience and yours, 8am to 8pm. Your pet can stay one day, one week or longer. 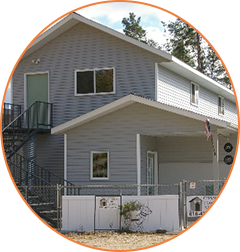 Kennel is heated and climate controlled with in-floor heating. We have a clean safe environment. Indoor/Outdoor covered runs. Lots of love and attention given with individual playtime. Great rates with multiple dog household discounts. Free bone with hug-n-kiss at bedtime. Owner lives on Premises. I can Bath your dog during their stay. Nails trims or sanding available. The dogs always take presidence over anything. 1194 11 Mile Rd. N.E.